Kitchen and Residential Design: So what the devil's a "living finish" anyway? I had a similarly phrased question from a reader the other day and it's sent me on a quest to find out. As luck would have it, I'd already set up an interview with a finish developer from Kohler prior to being asked that living finish question, so I asked the source directly and I learned a thing or two. That Kohler conversation gave me a ton of information to write about by the way, so look for a series on plumbing fixture finishes over the course of the next week or so. But in the meantime, here's a little something I learned about metals and patinas. This is what happens to copper when it's exposed to the elements. Copper reacts to acids and alkalis in the environment to form a variety of chlorides, sulphides and carbonates known collectively as verdigris. That's French for green gray. 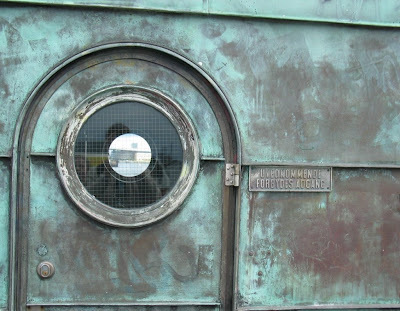 Verdigris is composed of copper carbonate or copper chloride primarily and those chemicals make up the green patina most people associate with copper. 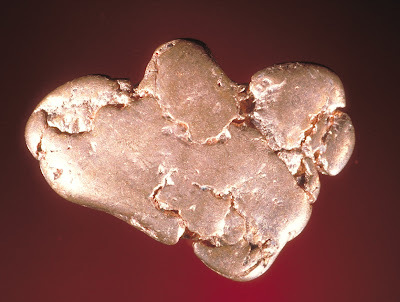 Copper is a highly reactive metal that's almost never used in its pure form. Generally, copper's combined with another metal to make it stronger and a little less reactive. When copper's combined with tin the result is bronze. 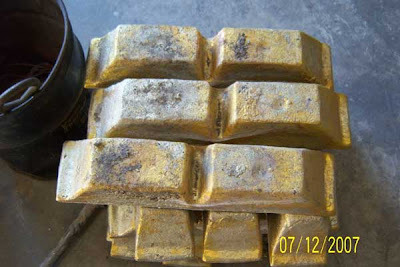 These are bronze ingots. 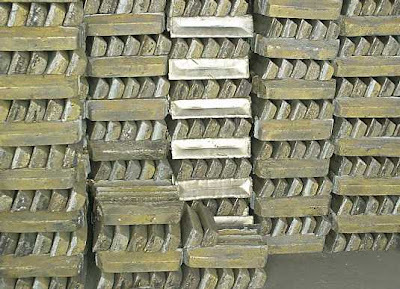 When copper's combined with zinc the result is brass. And here's what raw brass looks like. Due to their copper content, both metals retain a lot of the reactivity inherent in copper, though it's a bit less pronounced. So here's what happens when bronze is left to its own devices. It turns a warm brown with yellow tones. 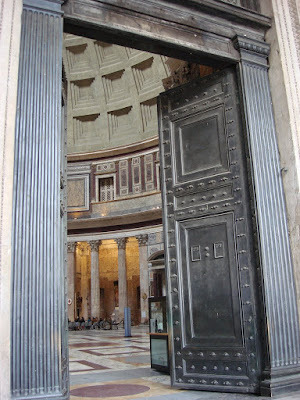 These are the doors to the Pantheon in Rome and they're about 1800 years old. They're also the color of dark chocolate. Brass on the other hand goes golden brown with a slight greenish tone to it. These naturally occurring patinas are what's meant by a living finish. These patinas take time to develop and really, they never stop developing. After all, they're an ongoing chemical reaction. When it comes to faucets; copper, bronze and brass are never left in their natural states to be allowed to age into their natural patinas on their own. 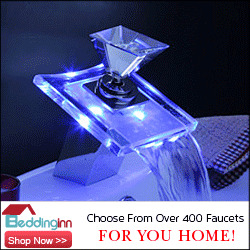 It can get confusing because most manufactured faucets and fixtures have a patina applied to them. Let's back up for a sec though. If you remember your basic chemistry, an alloy is the mixture of two or more metals. Alloys like brass and bronze aren't categorized scientifically, and there aren't any standard recipes for these metals. On top of that, copper never shows up in its pure state --it too is usually an alloy that's made mostly of copper. Add to that that the natural process of oxidation is called a patina, but so is virtually any color applied to a base metal. Argh. I'll dig into this a little further tomorrow, but for now just remember that a living finish is a finish that will age and change color with time. On purpose. Thanks! Stay tuned, as they say, there's more to come. Wow. If I could trust my simple faucets to turn to the beautiful patina shown in your pictures, I would jump right in with the purchase! This information is very important, thank you for your research. It's my pleasure. I learned a lot from this too. What brands with living finishes are you looking at? 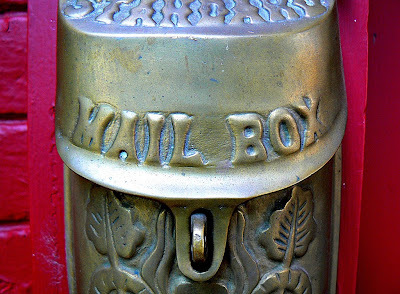 The mailbox photo reminds me of the door hardware I in my 1930s home. It is BEAUTIFUL... and sadly it had been painted over... but we stripped it down and WOW! Plan is to one day have a mold cast of it and add faux hardware to the doors in the addition to our home. DON'T CRINGE... we added on in a way that you would NEVER know! Thanks for stopping by my virtual trip... I'm planning on putting yours online February 28th... if you have anything to add between now and the 24th... just email me! Actually Fifi, that sounds really cool. What a great idea to have an old piece of hardware molded and re-cast. Bravo! Very well written and informative. We're always educating our clients on the different types of finishes and especially what a "living finish" is exactly. My brother (FOLGER & BURT ARCHITECTURAL HARDWARE INC. wwwfolgerandburt.com) does custom finishing on some of the door and cabinet hardware that we sell and as well we have a long standing relationship with SUN VALLEY BRONZE and all their products are recycled bronze with living finishes - - which sets them apart and are so much nicer I think than lacquered ones. Anyway, very well written ! Thanks so much for the posting ! Oh my, I just went to your brother's website. I think I'm in love. Please drop me a line at p.anater@gmail.com; I'd love to hear more about your brother's company. Thanks. The comments section of a blog are not where to go to sell services. 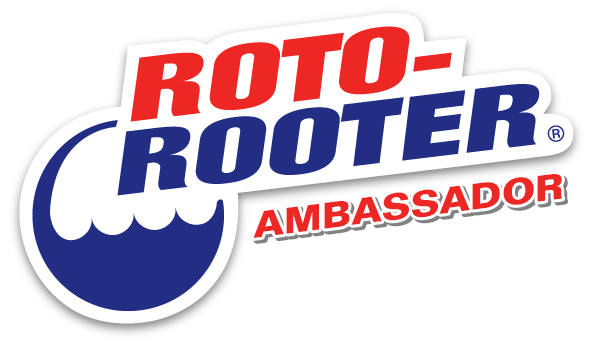 if you have something you would like to publicize, then please use the e-mail me button in the side bar and send me a press release. Thank you. Thank you for this great explanation! We are probably going to go with unlaquered brass for the door hardware in my new house, and I have been hearing the term 'living finish' a lot. I had an idea of what it was, but this was the perfect explanation for a real understanding. You are welcome Holly. It is confusing and it took me quite a while to distill all this information into a set of logical definitions. I scratched my head a lot and I'm up to this stuff in my elbows every day. I cannot imagine how overwhelming it must seem to someone who has not background experience with these terms.